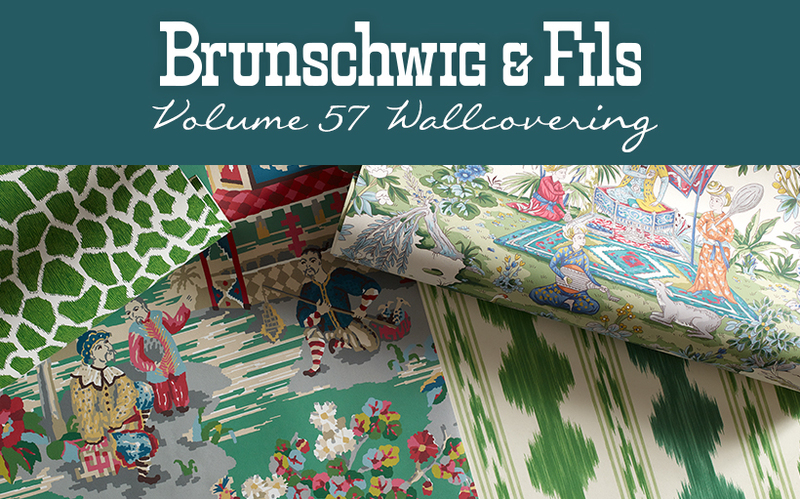 Brunschwig & Fils is debuting an exclusive collection of wallcovering – Volume 57 – featuring popular designs from Baret Collection and Cevennes Collection. It’s the 57th installment of wallcovering since the first collection was introduced in 1959. 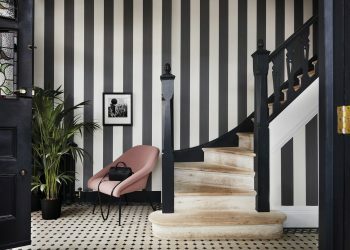 Each of the patterns in this collection have made their mark in the design community as fabrics, and now, for the first time, they are being given new life as exceptional wallcoverings. Striking motifs, like Baret’s LODI GARDEN, which depicts an enchanting scene from ancient Mughal paintings are a true testament to the intricacy of this collection of wallcoverings. This single motif alone contains 28 different colors – adding both intrigue and dimension to an interior. The perennially successful XIAN, in both new and coordinating colors, is introduced as a companion wallcovering to the printed fabric, which was originally introduced in 2003. 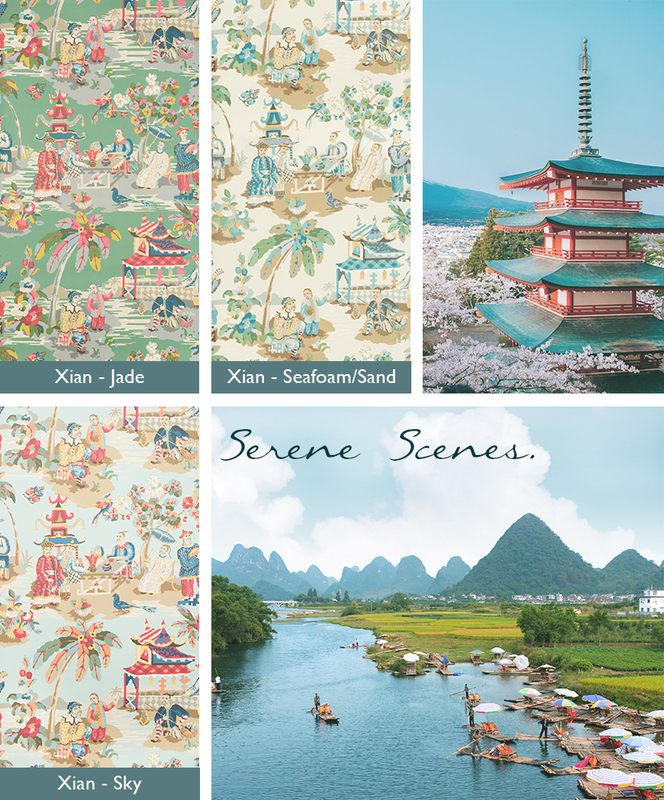 This classic Chinoiserie was inspired by a rare 18th century needlepoint document. 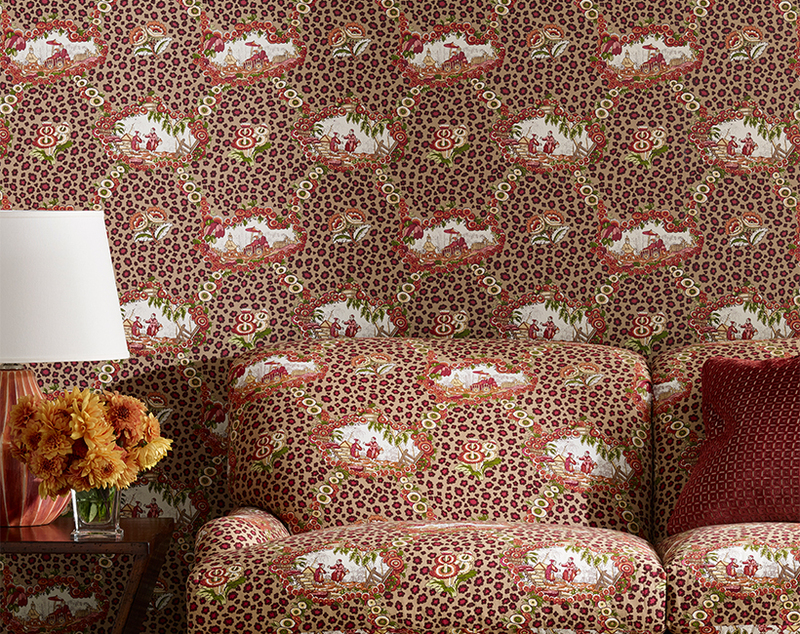 Animal prints have forever been a staple in the Brunschwig & Fils library. With the beauty of tradition in mind, the design studio is broadening its offering with a new addition, JIRAFFA. This stunning pattern has a graphic spirit, but can also be the perfect complement to any traditional atmosphere. 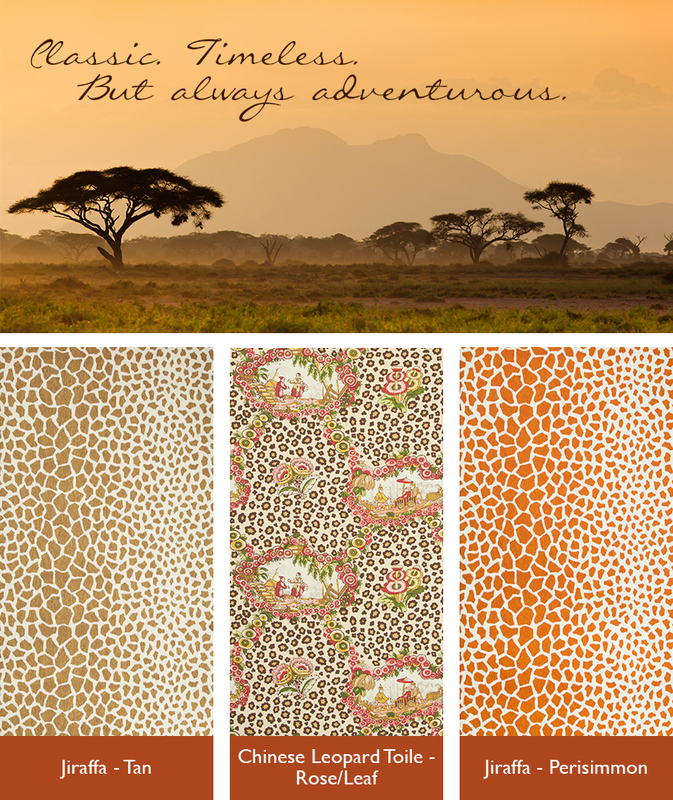 Long-awaited signature designs are making their debut as wallcovering as well. Originally a block-printed cotton fabric from 1959, CHINESE LEOPARD TOILE features two vignettes of Chinoiserie scenes alongside a leopard pattern. This French document dates back to 1825 from the Musee Oberkampf at Jouy. 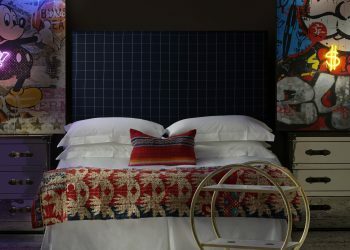 The fabric print was first translated to a hand screen print; the wallcovering is now being introduced using the same artisan technique. 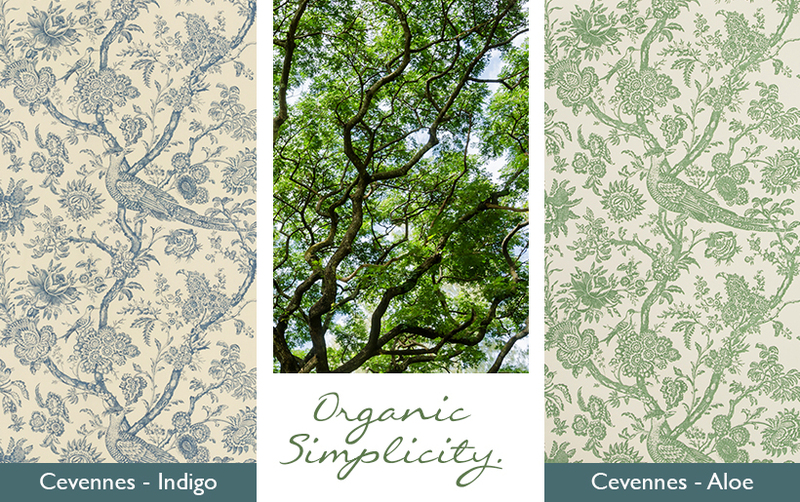 Other new print offerings include AVERA, a traditional ikat stripe, and CEVENNES, a hand-screen printed fanciful toile. 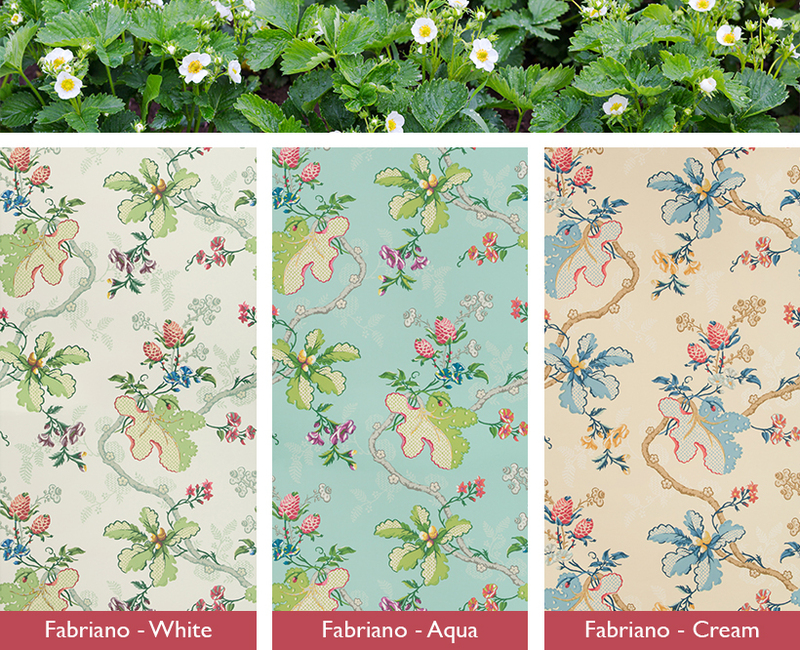 FABRIANO originates from a 19th century document consisting of a brocaded taffeta panel using silk and metallic threads. The original printed fabric introduced in 1997 was reimagined using stylized flowers and multi-patterned foliage for a dimensional look. 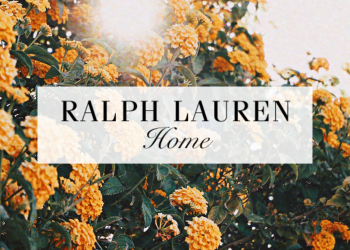 This treasured collection is a nod to the brand’s beloved heritage and aims to provide endless inspiration for an array of design projects. Please contact Customer Service at 1-800-645-9068 or customer.service@kravet.com and they will assist you.